If you don't mind, tell me something about your interest in Elizabeth Klarer. to build interest in our movie project. Russell , A fasnating story of an example of someone high in government who really does know about ufos and tells it . Instead of hidding behind denial and disinformation . When it comes out I will see it for sure ! I am a South African doctor (medical) living in Northern Ireland. I grew up near the Drakensberg (Mountains of the Dragon) and also knew of Credo Mutwa whilst living in Botswana. I have always had in interest in the Paranormal, including UFO's. Whilst living in South Africa, I once thought I saw something in the sky near Pietermaritzburg (not far from the Drakensberg) which I couldn't explain. I am usually fairly sceptical, but it got me thinking about life beyond our solar system. I find Ms Klarer's story intriguing and I am impressed that her story never changed through out her life. Perhaps her story is true, perhaps not - but it is always interesting. Hope this helps - feel free to contact me for anything else you may like to ask! My interest about Elizabeth Klarer is that, since many years, I feel a very close connection with Alpha Centauri and, some time ago, a woman told me that the people from Alpha Centauri were, in some way, my family. Moreover, when traveling in South Africa, I really felt so good and loved this country and its energies. To me, Elizabeth Klarer was someone special, very clever, totally sincere and honest; I believe that what happened to her was real. Her story is in resonance with my heart. Credo Mutwa is a very wise magnificent human being, full of knowledge and I trust what he says. Russell, I read her first book a year ago and wasn't aware she did any follow-up, because she sort of left the reader hanging as to what her current situation was. It's her second book I'm interested in, though I would probably watch a movie about her life. Dear Russell Thank you for updating me on Elizabeth Klarer's book. The reason I am interested in reading/and seeing the story of Elizabeth Klarer is because I have an interest in true stories about UFO contactees. 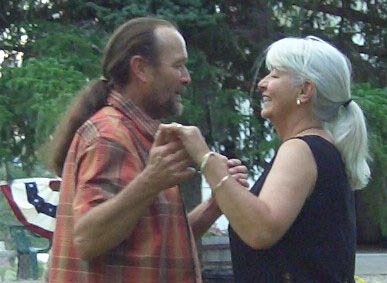 My husband and I both had contact. My husband passed away, but I am still interested in the truth. I viewed an old UFO documentary a friend gave me and it show some of the original UFO contactees one of which was Elizabeth Klarer. I had never heard of her before. I was really drawn to her story, and since have done some internet searches and found some really interesting items. I am also interested in Earth changes, and want to know more about what was told to Elizabeth on the subject. Best of luck with everything and keep me updated on the movie and the book! Russ, I was entertained and fascinated by the book "Beyond The Light Barrier. 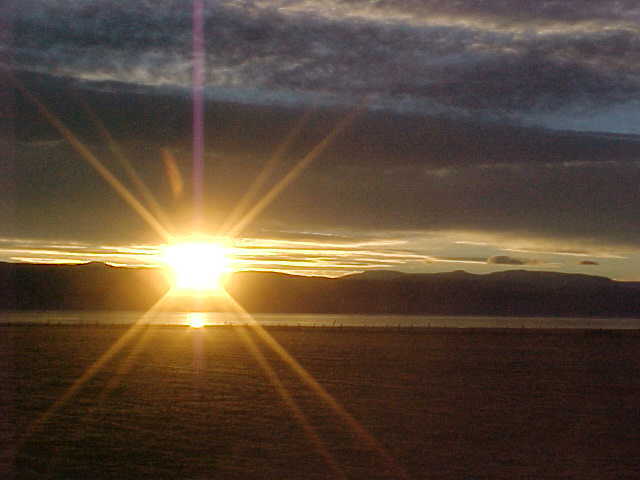 It revealed to me, in a most credible way, that human life does exist beyond this planet. I have no knowledge/memory of my ever having had any experiences with ETs. I have read of many credible people who have had interactions with other human type life forms, so I believe that it is a happening beyond my personal experiences. I'll be waiting for the movie and see how it is handled. 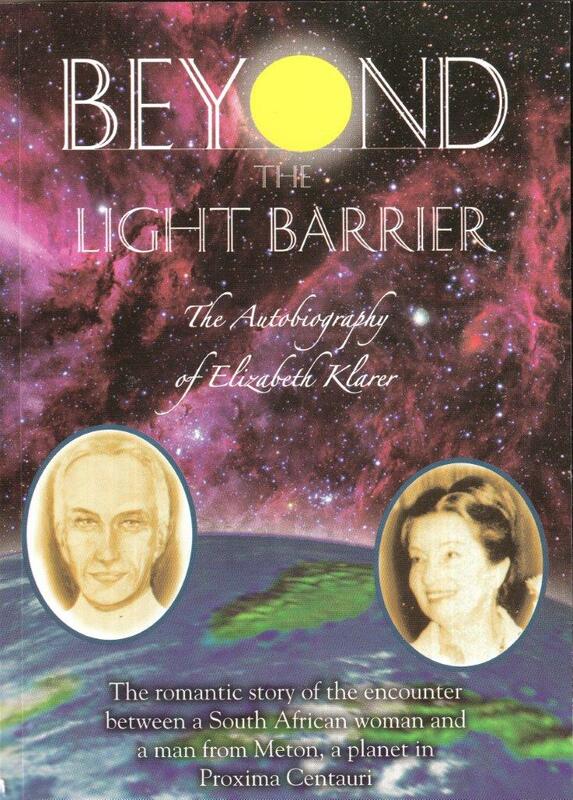 With regards to your question regarding my interest in Elizabeth Klarer, I read her book Beyond the Light Barrier about seven years ago, and I was intrigued by her description of her experiences. Whilst I am not an avid reader of UFO stories and I do not always believe every story, I do believe that some stories are accurate accounts of people's experiences. Elizabeth Klarer's story struck me immediately, because of the incredible detail that she provides of the advanced conditions for life in a binary star system, and the details of the light propulsion system used by this advanced civilisation. I became a fan of her book Beyond the Light Barrier, and I believe that it was a story worth telling. Hi, my name is M V. I am interested in Elizabeth Klarer because of the experience she had with E.T. people. I am interested in UFO/E.T. Stories/ information, being that I firmly believe in E.Ts and UFOs. Also, I am interested in Elizabeth's experience because of the intriguing and amazing revelations of our universe that the space people gave her. My interest in this topic is something that for some reason I have been active in reading and studying since the 1960's. Not quite sure why! My interest is personal I guess one would say for it is not a professional occupation at all. I work as a teacher and administrator in a living/learning, freshmen and sophomore collegiate community. My doctorate is in Mass Communications and my research area is the study of time and temporality in mass communications and other areas. I do find that working across disciplines can be a fine way of gaining and assessing knowledge levels so I read in the sciences, humanities and social sciences. I hope this answers your question. Looking forward to reading Elizabeth's book. I haven't read the book as you know, but I expect that this book will make an excellent movie. I am basing that on the fact that I have just finish reading "Millennial Hospitality I, II, III " and a movie in the making for those books. I suspect that Elizabeth's book is equal or better. Also, the timing is right. One can see how the public, particular the young people have a facination with space (I am a engineer an Johnson Space Center). More over, the ET's having been pushing the govenments for an announcement for their presents to be known ( a percentage of the public already know). A movie showing that they are here to help (God knows we need it) and educate us which would be a great help to the ET's side as well the peoples. As I understand it, they seem to waiting for the moment to step forward and help. © 2000 by Russell Winje winje33@frontiernet.net --- Last updated on September 13, 2008.